More space to learn and play! 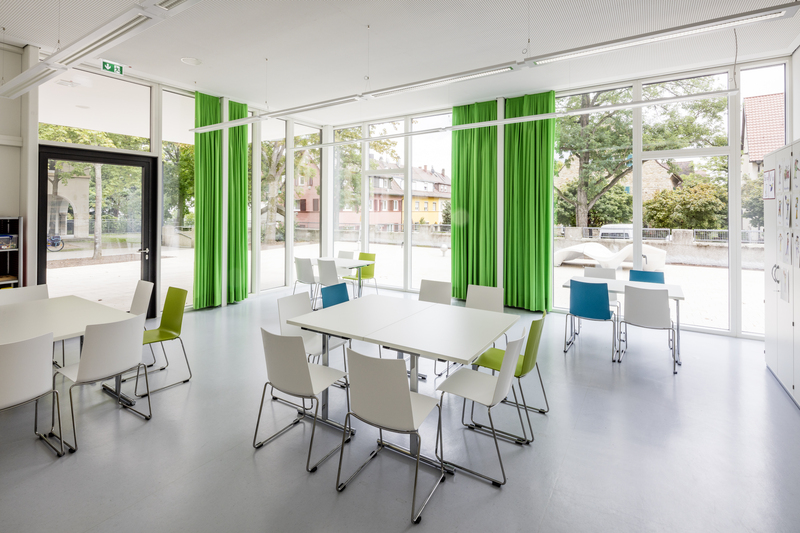 The capital of Baden Württemberg, Stuttgart, has realized the expansion of the Altenburg School and its neighboring Steig School. The 600 sqm project was finished just in time for the start of the 2015 school year. The new building extends the space for the all-day school area, as well as for the cafeteria for the entire school campus. Already in operation, the cafeteria can serve up to 500 persons in 2-3 working shifts. Besides the new addition, the outdoor area was also redesigned, ultimately creating a new access/entrance area, a new playground and an evolution-educational training course. The official opening took place on the 20/11/2015.